Vest Pocket Presents: How to Find a Business Mentor (and Why You Need One!) – Register Now! What do most successful entrepreneurs have in common? They’ve benefited from the advice and guidance of a great business mentor. Vest Pocket’s Scott Pynes will moderate the event, which will begin with an overview of mentoring and will include guidance on how to identify the ideal mentor who understands your industry and can truly help you to succeed. 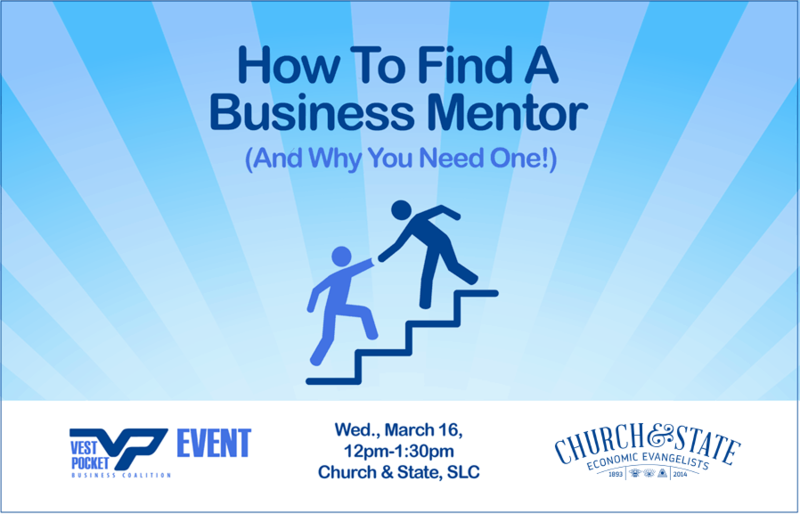 You’ll hear from firsthand about the many mentoring resources available from guest speakers, Bryce Hansen, Interim Director & Assistant Director with the Salt Lake Small Business Development Center, and Ron Baron, president of SCORE (Salt Lake Chapter), the nation’s largest, network of free, expert business mentors. We’ll also unveil details of Vest Pocket’s new Mentoring Roundtable program. Cost: $20 for non-members, free for Vest Pocket Members! Includes lunch from Even Stevens! Seating is limited so click here to RSVP now and save your spot. 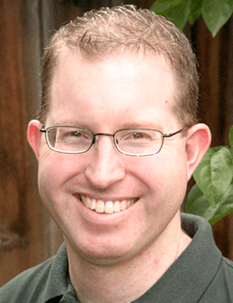 Scott Pynes started his career at Arthur Anderson in their consulting division. 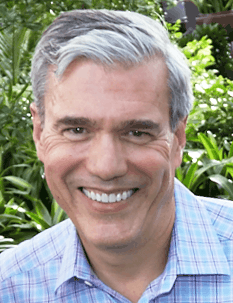 In 1986 he formed a business application software company – Interactive Systems, Inc. which was later renamed to Assist Cornerstone Technologies. The company grew to employ nearly 200 people before it was sold in 2000 to a New York Stock Exchange company. In 2002 he purchased Cactus & Tropicals from its founder – Lorraine Miller. Since then he has expanded the business significantly by opening a second retail location and aggressively growing the commercial side of the business. Cactus & Tropicals currently employs about 100 people. Its retail locations specialize in providing indoor and outdoor plants for homes and businesses as well as creative gifts and garden accessories. Scott enjoys spending time with his wife and two children and when weather permits road biking up the various canyons around the Salt Lake Valley. Over the last decade, Bryce has worked with over 350 entrepreneurs and companies, providing advisory support in business planning and strategy, fundraising guidance and financial analysis. He is the interim director for the Salt Lake region SBDC (Small Business Development Center) and leads the Utah SBDC team’s effort in organizing the annual Utah Crowdfunding Conference and Crowdfund Hero Competition. achievement, Ron is currently President of SCORE Salt Lake Chapter which offers free business counseling by 40 volunteer mentors with a wide array of skill sets. 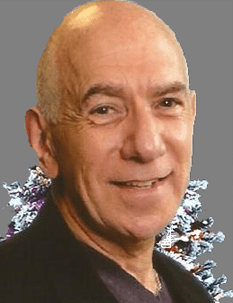 He conducts personal and professional seminars for prominent individual and business clients and has become well known to many return audiences. https://utahindependentbusiness.org/wp-content/uploads/2016/02/mentoring-thumb.png 299 298 dburton_90067so9 https://utahindependentbusiness.org/wp-content/uploads/2018/09/UIBC-logo-rev.png dburton_90067so92016-02-26 06:23:082018-06-27 06:03:55Vest Pocket Presents: How to Find a Business Mentor (and Why You Need One!) – Register Now!